With the challenges posed by climate change cities are facing more frequent and extreme rain events causing severe floods. A well-guided adaptation through new water management practices increases the sustainability and resilience of water services. However, the unintended consequences of such measures, positive and negative in nature are not well understood. 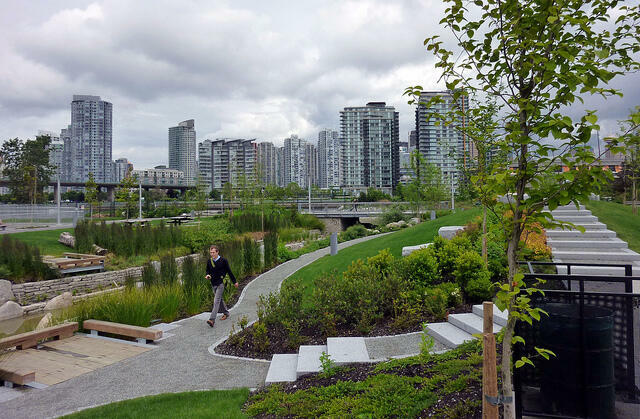 Positive effects of decentralized stormwater treatment systems are for example an increased amenity due to positive effects of green infrastructure on the urban microclimate or an improved groundwater balance as on-site infiltration is closer to the natural water cycle. A positive effect of traditional technical measures (increase of pipe diameters) is passive rehabilitation of aging water infrastructure, one of the main challenges for our aging infrastructure systems. Negative effects are increased complexity of responsibility, management and maintenance of these systems, unknown service life, consumption of land in usually densely populated expensive areas, etc. Vonach T., Tscheikner-Gratl F., Rauch W. and Kleidorfer M. (2018). A Heuristic Method for Measurement Site Selection in Sewer Systems. Water 10(2), doi:10.3390/w10020122. Mikovits C., Tscheikner-Gratl F., Jasper-Tönnies A., Einfalt T., Huttenlau M., Schöpf M., Kinzel H., Rauch W. and Kleidorfer M. (2017). Decision support for adaptation planning of urban drainage systems. Journal of Water Resources Planning and Management 143(12), doi:10.1061/(ASCE)WR.1943-5452.0000840.